“So, then. You want a story and I will tell you one, Afghanistan, 1952. Abdullah and his sister Pari live with their father and stepmother in the small village of Shadbagh. Their father, Saboor, is constantly in search of work and they struggle together through poverty and brutal winters. To Adbullah, Pari, as beautiful and sweet-natured as the fairy for which she was named, is everything. 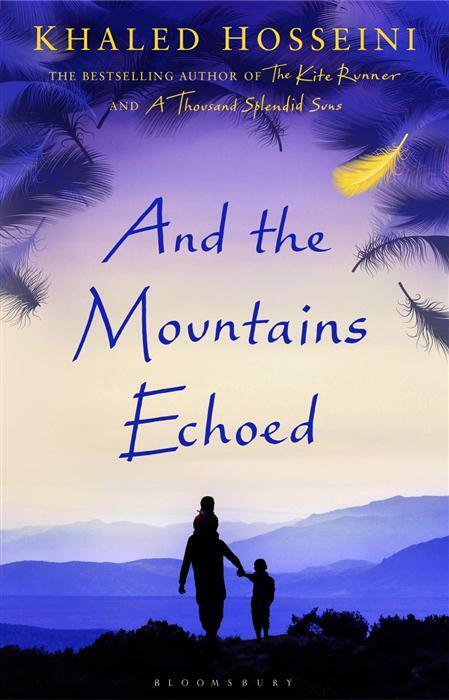 And the Mountain Echoed is a book with several characters. And the beauty is each of them stays in our heart. They throw the harsh truth on our face – Every heart carries secrets! People are not what we see; what we see is what people allow us to see. Nothing less; nothing more! The list just goes on with Timur, Idris, Rosh, Amra, Gholam, Adel, even Appollo! The beauty lies in the fact that the author has taken due care in drawing each character from the scratch. He outlines about them and ah! We connect to them. We live with them as if we know them... As if we have seen them and that they are a part of our life! As a result even a Zadia stays in our heart! 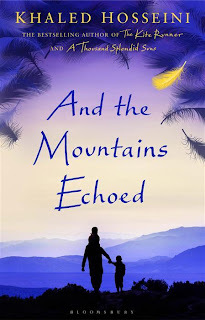 The book starts a soothing bedtime story and then it evolves as a heart crunching tale filled with characters and events that will linger in our thoughts for a long time. The book oozes with brilliance. It elaborately sketches the life of characters from their childhood to present. That leads to a strange connection. It shuttles between times back and forth while narrating each of the character in detail. The narrative is so elaborate that it has a movie kind of effect. The author indeed put forth several bold incidents... The relationship between Nabi and Suleiman... Through Nila... Through the pain of Thalia... And the words of young Pari’s and Markos’s mother! Further, the words that the author has used to convey the thoughts and feelings of the characters touch our heart straight away. The book is so intricately woven that even 401 pages seems so less! Grab your copy and enjoy the read. I heartily thank SHOPPING WISH for giving away this wonderful book for review. PS: Voila! This is my 700th post. I am smiling. Feeling awesome!! !